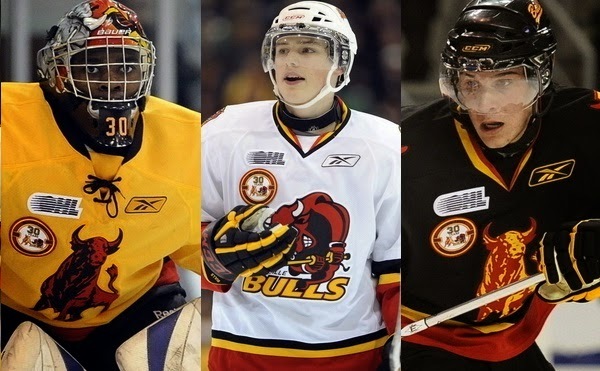 Game Preview: @OHLBarrieColts look to sweep the @OHLBulls Game 4. #OHL #Playoffs - Very Barrie Colts | A website covering the Barrie Colts of the OHL. 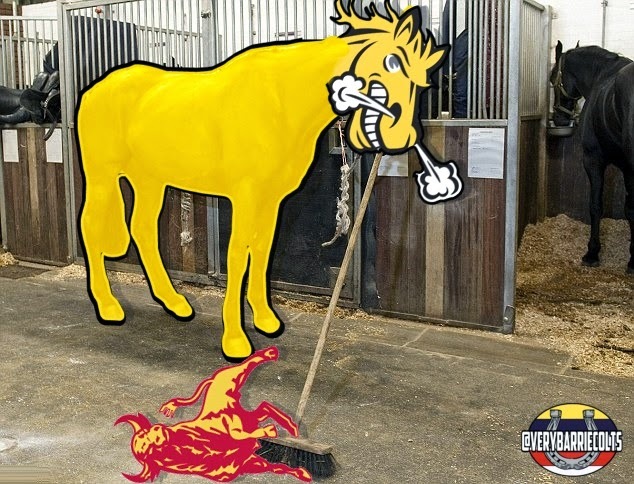 Tonight is Game 4 of the Quarter Finals between the Barrie Colts vs Belleville Bulls. Last night was filled with OT with all three games going into extra frames. The Colts captain Joseph Blandisi scored 1:34 in overtime to give the Colts a 2-1 win and increased the series lead to 3-0. As mentioned by a handsome local blog we will leave unnamed (us) the game yesterday was decided by special teams. Nobody was better last night than Mackenzie Blackwood. The Bulls went 1-9 on the power play and all night Mac was doing what he does best and that is make himself look huge. He stopped 42 of 43 shots and many of which were tough saves. Barrie only managed to get 28 shots on goal. It could be said that having to kill off 9 penalties contributed to that but you can't blame it all on the officials. They were 0-5 on the power play and spent most of their chances in the offensive end passing the puck looking for the perfect chance instead of just putting pucks on net. Belleville did an excellent job of that which is pretty obvious with them out shooting Barrie 43-28. Keys to success: Stay out of the box. 9 penalties is crazy and lots of them were very undisciplined and poorly timed. Lots of cross checking and tripping. Colts really need to be aggressive and use their speed instead of their sticks to attack the man carrying the puck. If the Colts can stay out of the box and make a stronger effort of getting pucks on net there is no reason they cant end the series tonight. Players to watch: Garrett Hooey has been great for the Colts so far in the first round of these OHL playoffs but he spent 11 minutes in the box last night. We need him on the ice working in front of the net and generating chances instead of taking boarding and high sticking calls. I will say that the diving call was a bad call against him but there has been a lot of bad calls in this series. Also, Mackenzie Blackwood could be the man to get the Colts on the the next round if the same team shows up that played last night. Again, he is playing at an unreal level last night. I hope NHL scouts were watching. Puck drop is set for 7:05 and COULD be the last OHL game played in Yardmen Arena. Hopefully, either way the fans in Belleville get a good hockey game because they deserve it. Now that we got our kindness out there..